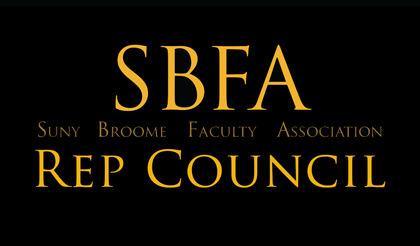 Our first Rep Council meeting for the Fall 2018 Semester will be held on Thursday, September 6th from 11AM-12PM in Business Building – Room 111. If you can not make it to this meeting, please let me know who will be attending as your alternate. The tentative schedule of meetings for the rest of the semester is included below. It will be updated with the location(s) as soon as they are available.